Fakih IVF started with the vision of Dr. Michael H. Fakih, a Consultant OB/GYN - IVF, recognized as a leader in the field of assisted reproduction who began his career in IVF in 1987. 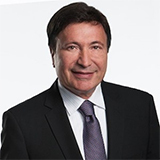 With over 25 years of experience, Dr. Fakih is responsible for over 12,000 IVF deliveries. His continuous efforts and innovation of new techniques have made him a pioneer in his field. Dr. Fakih is the Co-Founder and Medical Director of Fakih IVF, UAE, IVF Michigan, USA, and Founder of FIRST IVF, Lebanon. He has written over 40 medical publications. Membership: American Medical Association, American Association of Gynecological Laparoscopists, American-Canadian Endometriosis Association, American Fertility Society, Michigan State Medical Society, Michigan Reproductive Endocrine Society, Society for Assisted Reproductive Tech (SART), Society for Reproductive Surgeons (SRS) and the International Product Advisory Board of OvaScience. Education: Dr. Fakih received his MD from American University of Beirut in 1981. He went on to complete his residency in Obstetrics and Gynecology before pursuing a Clinical Fellowship in Reproductive Endocrinology and Infertility at Yale University School of Medicine, USA. Later, in 1986, he pursued a Fellowship in Reproductive Endocrinology and Infertility at the Medical University of South Carolina, USA. Awards: In 2008, Dr. Fakih was listed as one of the top 15 American Lebanese of all time in the category of Medicine. *Please note that Dr. Fakih is available for consultation in Abu Dhabi, Al Ain and Dubai. He has worked in Ministry of Health hospital in Rustaq, Oman.